Apple seeded the fourth beta of iOS 11 to developers this morning, bringing some of the most significant changes we've seen yet in an iOS 11 beta. A much-desired swipe feature for clearing Notifications on the Lock screen has been added, and there are also several visual tweaks to icons throughout the operating system. We've outlined all of the changes in both the video and the post below. - New icons - Apple has introduced new icons for the Contacts, Notes, and Reminders app. Some of the app icons may be bugged for some people, showing certain details, like bullets for Reminders, on the wrong side of the icon. This is because Apple inverts the icons for languages that read right to left instead of left to right, and it should be fixed in a later beta. There's also a new icon for Contacts in the Settings app, while the Notes and Reminders icons in Settings remain the same. 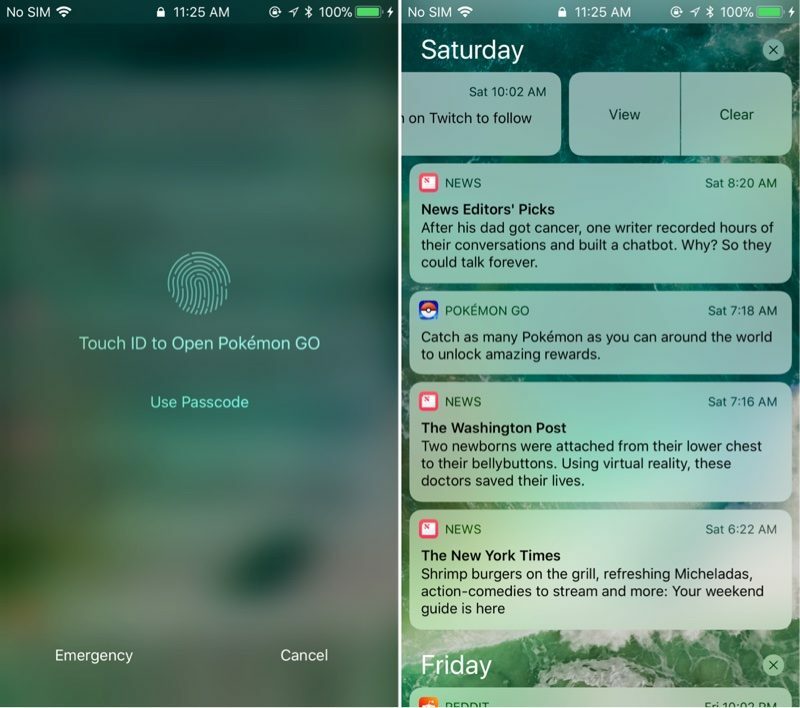 - Notification Center - You can now swipe to the left on a Notification on the Lock screen to bring up options to clear it or view it. 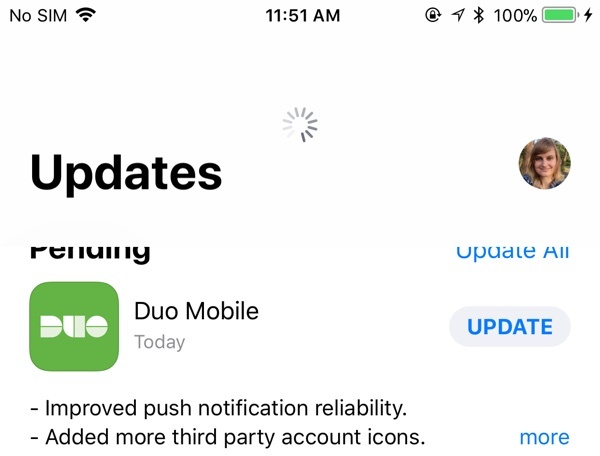 Tapping on view or tapping on the Notification itself also brings up a new screen that instructs you to use Touch ID to unlock your device to open the associated app. 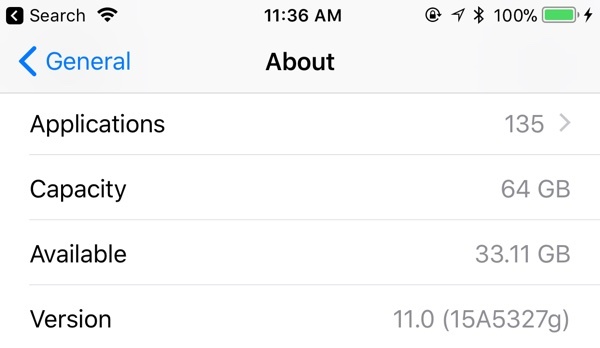 - Settings (Capacity) - In the General section of the Settings app, when you choose "About," the Capacity listing now shows the total amount of storage a device possesses rather than the amount of storage available minus the size of iOS. 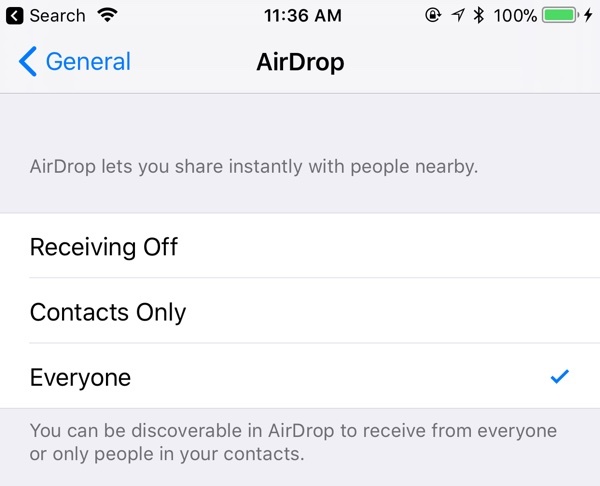 - Settings (AirDrop) - In the Settings app under General, there's now a dedicated section for AirDrop that allows it to be toggled off, set to everyone, or limited to contacts. Previously, only the Control Center could be used to change these settings. - Settings (Accounts & Passwords) - In the Accounts & Passwords section of the Settings app, the key icon is now vertically oriented instead of displayed horizontally. - WiFi icon - The WiFi icon in the upper left hand of the display that shows when you're connected to a WiFi network has been slightly tweaked with thicker, more uniform lines. - App Store - There's now an option to pull downwards to refresh the App Store's Updates tab. iOS 11 beta 4 is currently limited to developers, but Apple will likely introduce the changes in a third public beta that we expect to see later this week. I am bitterly disappointed that having changed the Accounts & Passwords key icon from horizontal to vertical that they did not take this golden opportunity to have it at a more jaunty 45 degree angle. Love my iPhone, but lately it has become so boring and iOS 11 doesn't do anything new. I just had a bad experience at an Apple Store, so I'm really angry right now, but that aside, yeah, nothing really new in iOS 11. Given how much I depend on my phone for keeping in touch, paying bills, managing accounts, etc... I'll take "boring" any day. Not a big deal but I would like to see the update size return to the updates. Glad they're finally copying Android's notifications management. Notifications on iOS have been subpar for too long. The iOS 11 betas have been incredibly stable on my iPad 10.5. Complete opposite on my iPhone 6. I really love what Apple did for iPads this year; for the first time since they were initially released, I find myself preferring to use the iPad over my MacBook. You've been to my grandmother's house? Get out! What will they do with your name? Whats the big deal here? Very nice changes. B4 is running a lot better on my device in comparison to the other three betas.